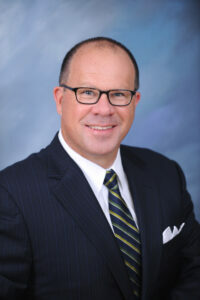 Jeffrey R. Pickering is Chief Executive Officer of Indian River Community Foundation in Vero Beach, Florida. Mr. Pickering has 20 years experience in philanthropy, nonprofit leadership and fundraising, including five years as President and CEO of Kern Community Foundation in Bakersfield, California, and four years as Vice President at the Community Foundation of Central Florida. Prior to entering the community foundation field, Mr. Pickering served in leadership roles at two nonprofit respite centers in Chicago, Illinois and Orlando, Florida that provided residential medical recovery for ill and injured homeless adults discharged from area hospitals. Mr. Pickering holds a bachelor’s degree in political science from the University of South Florida, a master’s degree in leadership studies from the School of Leadership and Education Sciences at the University of San Diego, a certificate in business administration from the Roy E. Crummer Graduate School of Business at Rollins College and attended Stanford University’s d. school. Mr. Pickering is an alumnus of the Vincentian Service Corps, where he served for one year after graduation from college as a lay missioner working among homeless men and women in New York City. Mr. Pickering is married to Stephanie Brooks Pickering of Palm Springs, California. The Pickering’s have three children, Colin (12), Olivia (11) and Grant (3).